He was pleading with the Arkansas territorial government to allow the Cherokees to remain in the state, on the lands where many of them had settled only ten years earlier. Some had come voluntarily, hoping to preserve their traditional way of life from the encroachments of the whites. Others had come as the result of a treaty, signed in 1817, that had granted them those lands. Still others were refugees from southeast Missouri, fleeing the devastation caused by the gigantic New Madrid earthquake in 1812. The Cherokees had long been familiar with European customs and agricultural techniques, and considered themselves “civilized” as opposed to “savage” Osage. They saw themselves as friends and allies of the whites, and many of them had fought under Andrew Jackson in the Creek war. They got along well with the semi-nomadic hunter-farmers, like the Isaac Kelly family, who made up the first wave of white settlement in Arkansas. Elite Cherokees, usually of mixed blood, owned fenced fields, barns, well-built houses, English tableware, and slaves, while also maintaining their traditional rituals and ceremonial objects. In the late 1820’s, however, a new wave of slaveholding whites like the Bettises, and yeoman farmers like the Drews, started moving in, bringing with them steamboats, commercial agriculture, and a variety of new enterprises such as mills and ferries. Suddenly Indians and treaty obligations were in the way. 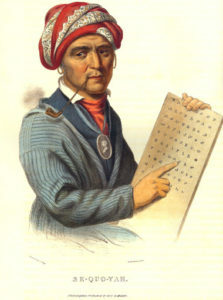 The Cherokees sent a delegation of their most respected leaders, including the revered Sequoyah, developer of the Cherokee syllabary, to Washington to plead their case, but got nothing for their trouble but a forced move to Oklahoma Territory. When the delegation returned to Arkansas, its members were threatened with trial and execution, and stripped of all powers within the community. The outcome was familiar and inevitable. But what is most striking to me is the change in language, the escalation of hate speech on the part of the whites, that accompanied their expulsion. The Cherokee allies of Andrew Jackson were transformed overnight into “savage monstors” with revenge “lurking in their bosoms,” according to Governor James S. Conway, and “a miserable and degraded race,” according to the U. S. House Committee on Indian Affairs. It is as if the whites had to talk themselves into an act that they knew to be unjust, to shout loud enough to silence dissenting voices, including those of their own consciences. Their words provide an echo of the people we have been, and remind us that there is no guarantee that we will not be so again. 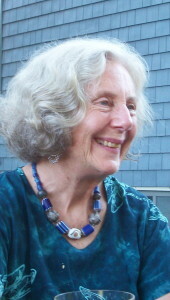 Further reading: Kathleen DuVal, The Native Ground: Indians and Colonists in the Heart of the Continent.